Need a new breakfast recipe idea? 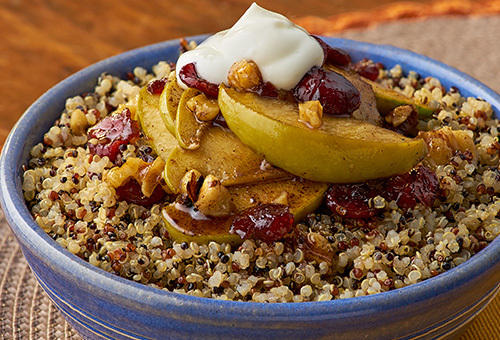 Try Success® Tri-Color Quinoa topped with slow-simmered crisp apples and dried cranberries. 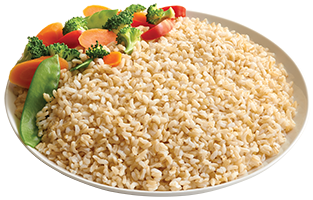 Topped with your favorite yogurt. 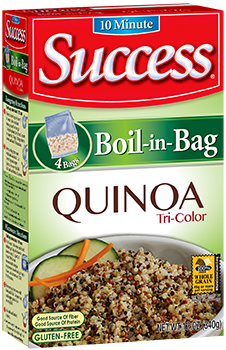 Prepare quinoa according to package directions adding apple juice to water.